Kafu; A member of the vigilantes in Olvia, positioned as a manager of workers. She was strongly inspired when she saw Captain Cliff during his survey of the Western Guard Camp. From that day onward she’s been going around acting like a captain. Constellation: Sealing Stone. Wocester; He dozes off all the time. It is unclear whether he is easy-going or just lazy. But once he makes up his mind to make furniture, you can expect a quality product in no time. Constellation: Treant Owl. Nadia Rowen; The last surviving member of the Rowen family of Heidel. She was a rootless wanderer until she went to Velia. She learned cooking from David Finto and now she lives in Olvia. She feels happy when people eat her food and respond with smiles of enjoyment. Constellation: Elephant. Corin; Corin and Bofin are friends from Florin. Corin is bored because he hasn’t found anything to do that captures his interest yet. 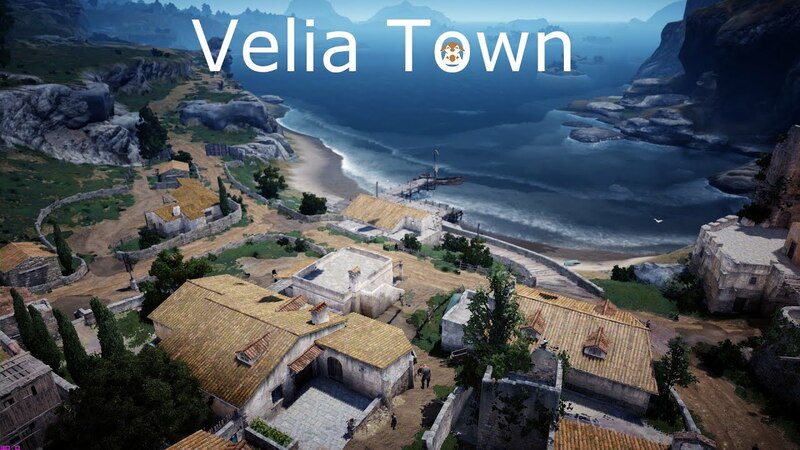 However, the villagers of Velia assume Bofin and Corin aren’t and simply cannot be bored because they talk and talk all day long. Constellation: Elephant. Bofin; Bofin and Corin are friends. They came to Olvia because life in Florin was too boring. However, there is not much to do in Olvia either and Bofin is bored all day. He’s trying to keep a pet cat, but it has run away a few times already. Constellation: Hammer. Baldos; Though a Goblin, he gained people’s trust by painstakingly handling the tasks put before him. He ended up managing the guild in Olvia after showing the ability to deal with the complicated and sensitive aspects of such work. Constellation: Key. Makuum; Makuum settled down in Olvia through an introduction by Igor Bartali and wanted to put his meticulous nature to work as a storage manager. He is managing a storage center worthy of Olvia’s size. Constellation: Giant. Buntt; Buntt has grown under the favored tutelage of Croxus since he displayed talent for martial arts from a very young age. Croxus is the only one in town who can beat him in combat. Constellation: Hammer. Gray Biants; An Elionian priest who came to this island to spread the faith. She is so passionate about Elionism that she was more than willing to come to this secluded place when nobody else volunteered. Most villagers feel very comfortable telling her about their problems as she is kind and a good listener. Constellation: Boat. Wale; Unlike his diligent father, Wale is very lazy and always blames others. It’s not that he is a bad person; he just grew up in an affluent environment and thanks to his father feels a bit entitled. Although he hates farming in general, he loves taking care of chickens. Under the tutelage of Gray Briants he has converted to Elionism, he says he prays every day but that he doesn't feel any better. Constellation: Boat. Bionier; Bionier came from the herb town Florin. She sells a variety of potions and teaches recipes to townspeople. She appears a bit cold at first, but she is actually very polite and has become fast friends with both local residents and adventurers alike. Constellation: Elephant. Despite coming from Florin, Bionier is a demi-beast. Akan; He came from Florin to make a little coin selling potions. He sells his wares with an ever-present grin lighting up his face. Constellation: Black Dragon. Despite coming from Florin, Akan is a demi-beast. Lolly; Lolly is the trade manager of Olvia. Contrary to her appearance, she is a cunning merchant who is never on the losing end of a deal. Every piece of information she gives to adventurers’ starts with the phrase “This is a secret”, but it rarely ever is. Her information is usually only helpful to new traders. Constellation: Sealing Stone. Sady; Sady is a celebrity in Olvia. She is cheerful and caring, but not quite at the level of most Human women. It’s just that other Shai females are so rude that seems a treat to be around in comparison. Constellation: Boat. Nodmir Coop; The famous brother and sister duo, the Coops! 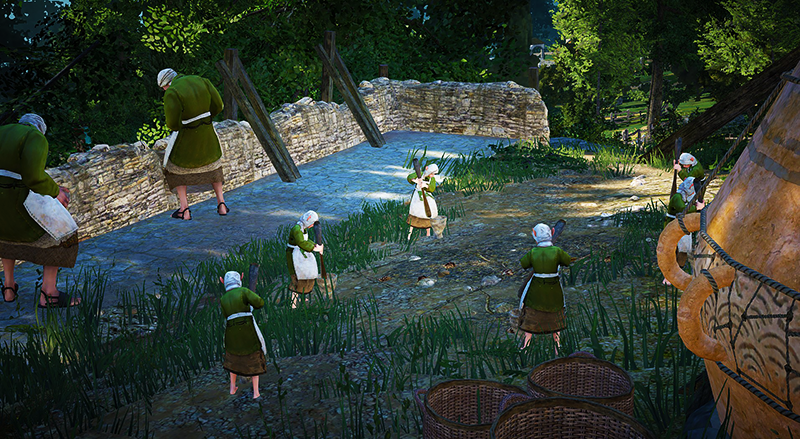 They are the most well-known stable keepers in the town of Olvia. The older brother Nodmir always works hard to maintain the trust of his sister. Constellation: Shield. His sister’s name is Chiara. Julietta; A potion vendor from Florin who always has useful supplies for adventurers. Julietta spends most of her idle time deliberating over how to make a fool of townspeople or visitors from the outside. She appears to be very kind-hearted at first sight. Constellation: Sealing Stone. Lacy; unlike most Shai, Lacy is kind of greedy. She always wanted to be wealthy, so she puts her talents to selling fine products for a profit. 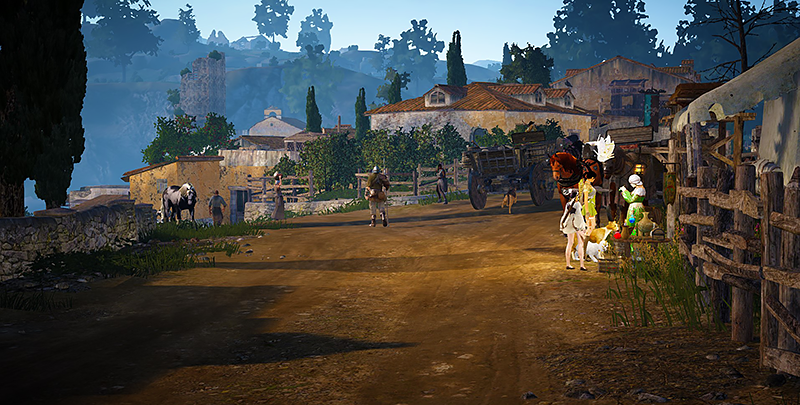 She doesn’t even mind travelling all the way to Calpheon or Heidel to get decent merchandise. Constellation: Giant. Chiara Coop; Manages a stable with her brother, Nodmir Coop, who is a member of the Olvia Vigilantes. There is not much to do and not a care in the world since it is such a quiet town, but Chiara always puts a lot of effort into the stable work. She is said to be very friendly, as long as you don’t bring up marriage around her. Constellation: Key. Curtis; Curtis, a blacksmith in Olvia, puts most of his effort into training a successor rather than doing the work himself. He constantly inspects the hands of apprentice blacksmiths with his fierce eyes. Still, he does repair the equipment of adventurers himself and sometimes makes superb swords. Constellation: Giant. Hans; A vigilante stationed at the town entrance of Velia. 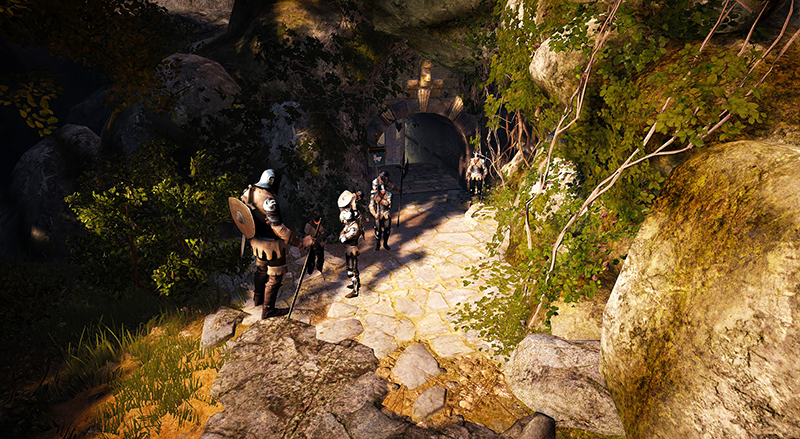 Hans guides visiting adventurers, but he also presents suspicious strangers from entering the town. He says he volunteers because he has no job and nothing better to do with his time. Constellation: Hammer. Egrin; Egrin has been investigating the Coastal Cave lately, and now a shipwreck has occurred within this seaside cavern that he wants to look into. Yet, it would be a suicide mission to go into the cave to take a look at the ship since it is now full of rogues. He is agonizing in silence about the situation because he thinks the whole town will be in chaos once the residents hear about it. Constellation: Treant Owl. Mariano; A Shai girl who loves cats. 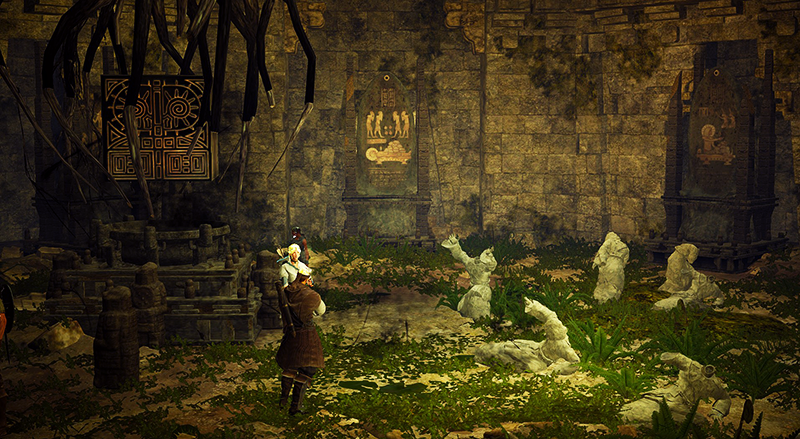 Her dream is to adopt all the cats in Velia. She hates the smelly fish that cats love, so she asks Abelin to feed the cats instead. Constellation: Camel. Alustin; a famous alchemist from a noble Calpheon family, he began dabbling in Alchemy at a relatively late age, right after his wife passed away. He lives with his twin daughters Eileen and Clorince in Velia. He specializes in Black Crystals. He has produced amazing results that seem impossible after such a short time involved in the Alchemy. He is unmatched in the field, especially in terms of developing products for recovery or mental training. Constellation: Key. David Finto; though he has his own farm, he works as a cook at Islin’s inn because he loves the trade so much. He never compromises taste for cost, and this often causes arguments. His wife Martina takes care of their farm with David having dropped almost everything else in his life for cooking, including his wife. Constellation: Giant. Crio; Otters, who make the waters their home, are excellent swimmers and divers. Many of them sell fish, and they can be found doing so in almost every town. They are sometimes welcomed for a potentially immoral reason: they often sell at a loss since they are prone to flattery and quite bad with numbers. One thing for sure is that the fish caught by Crio are of much better quality than most off the rod. Because of Crio's cheap selling prices and his uncanny ability to catch more and better fish he is both the target of envy and scorn from the Velia fishermen. Constellation: Key. Islin Bartali; Wife of the Chief of Velia, Igor Bartali, and the owner of the Lunar Halo Inn. Her broad network comes from running the inn and restaurant for years. Still, her warm smile may just be for the business. Recently she has been worried about the sudden increase of Parasitic Bees and the high cost of food ingredients due to the new Cook, David Finto. Constellation: Black Dragon. Abelin; Villagers assume that a visitor to the village abandoned this child when she was a newborn. After being abandoned at the entrance of Velia, she was taken in by Chief Bartali's family. She likes to be alone, has no friends, and enjoys fishing, mostly. Crio, the expert fisher, is the only person she admires and follows around. Constellation: Sealing Stone. Claire Arryn; As a mother, she is always worried about her adopted son, Santo Manzi. Widowed decades ago due to the war, Santo, found washed up on the shore as a child, has been her only comfort through the years. She raised him like a real son but feels his increasingly troubled behavior was somehow her fault, despite her unconditional love for him. Constellation: Shield. Artemio Fiazza; Believe it or not, Artemio was once considered among the greats of literary and philosophical genius. After his house burnt down, he leaned on the bottle and nothing else. Eileen is the only one who worries about him, but Artemio angrily brushes off such care and demands more to drink. Constellation: Sealing Stone. Igor Bartali; The chief of Velia. He often offers free lodging and food to travelers, as he was one himself in his youth. He still fantasizes about adventuring and sometimes talks about rumors around Calpheon. Igor’s wife Islin is not happy about his tendency to day dream about the days of yore. Constellation: Giant. Houtman; An old man who takes care of the Ossuary where the ancestors of the Bartali family rest. Like Igor, he was born and raised in Velia. He believes that the Bartali family founded the town. Constellation: Giant. 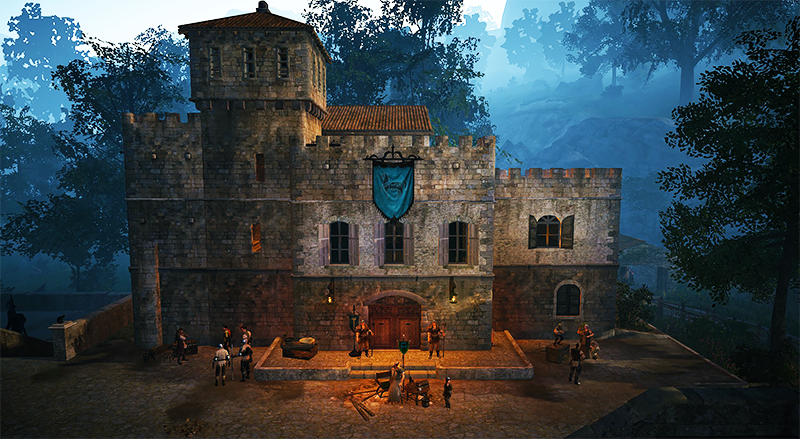 Ernill; Igor, the Chief of Velia, planned to bring the prosperity of Velia by building a shipyard in Balenos Bay. Yet, the construction was delayed due to a lack of funding and he eventually had to stop the plan altogether. The shipyard site was turned into shabby storage houses. Ernill, a Demibeast from Keplan, took advantage of this misfortunate and insisted that the site would make for effective storage facilities for villagers and adventurers alike. At last he became storage keeper in Velia. Constellation: Camel. Eileen; Eileen is the bright and active twin sister of Clorince. The two are training as Alchemy apprentices under their father Alustin and sell self-made recovery potions at the East Gate of Velia. She recognizes that her sales skills are lower than Clorince’s, and is trying to improve her alchemy ability to produce new potions. Sometimes she is jealous of her sister, whom her father deeply trusts, but Eileen’s alchemy ability doesn’t yet match her sister’s. Constellation: Charioteer. Laiano Pietro; A Velia native. 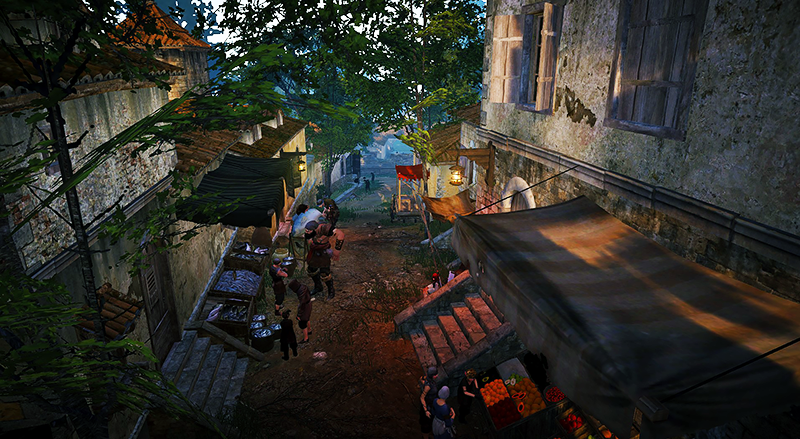 His brother went to Heidel seeking prosperity and fruitlessly continues asking Laiano to join him. Although he is a house manager, villagers call Laiano a locksmith and say there is no lock he cannot open. Laiano humbly denies his talent. Constellation: Treant Owl. Shiel; The Velia marketplace Director. He auctions various items on behalf of adventurers. 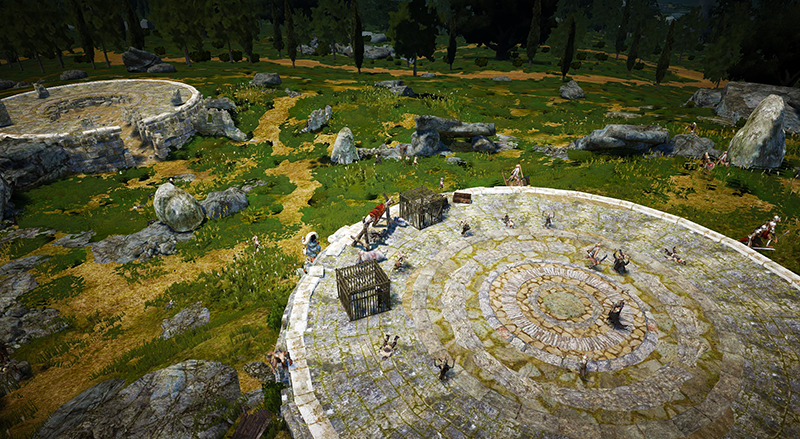 Many gather in Velia just to witness his auctioning skills. He is always surrounded by a crowd, but this is mainly because he hires a band to keep people entertained. Constellation: Giant. Bahar; A trade manager from Keplan who settled down in Velia. He is as adept at calculating profit and loss as he is at trade in general and sees little value in anything not involving profit. He is not on good terms with Velia’s main troublemaker, Santo Manzi. He suspects Santo of exploding his wagon of trading goods. He hopes to establish trade with the faraway Calpheon, and has great interest in the book written by Isobelle and published by the Xian Merchant Guild in Calpheon. Ultimately trade with Calpheon is his prize. Constellation: Goblin. Tranan Underfoe; Tranan used to be such a renowned blacksmith that no armor could be finished without his final touch. Yet, now runs a humble forge in a small town. Skill with the hammer is not his only virtue; he is a truly generous soul who sometimes gives away extra equipment to new adventurers. Like most Dwarves, he is very proud. Constellation: Key. 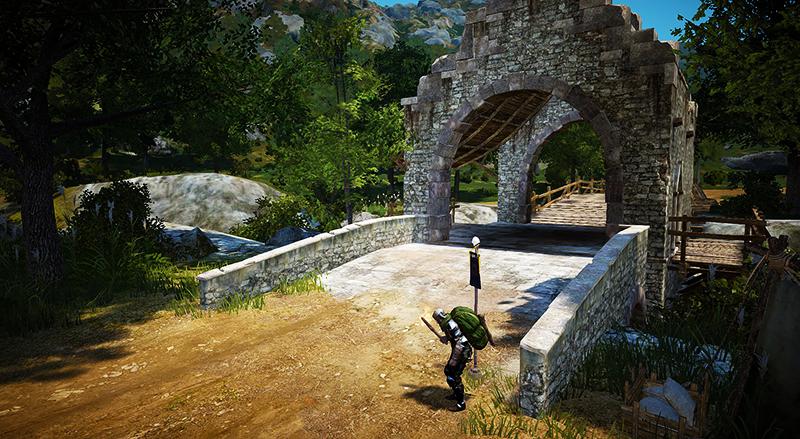 Pulvio; A trainer in Velia. Pulvio believes that nothing can be achieved without effort, and he always tries to force this view on others. He encourages people to have pets, but warns people they mustn’t give up on a pet once they’ve begun. Being a smart guy, he originally planned to become a designer, but a stray cat stole his heart one day, and he became a trainer. Constellation: Camel. Marsella; Jeweler Marsella’s wares are not the ordinary glitterings you see every day. She specializes in crystals with special powers, and insisters her crystals save the lives of adventurers. She argues that her higher quality crystals are just as good as those that require countless rounds of processing practice to be produced. Constellation: Key. Sealus; The Giant named Sealus is much more sensitive than he looks. As a furniture vendor in Velia, he risks everything for good timber, and goes out on his own to get it. This often results in personal injury. He specializes in furniture design for women, and he insists that one must let their heart decide when buying furniture. Constellation: Treant Owl. Clorince; Clorince and Eileen are alchemy apprentices and the twin daughters of Alustin. Trained in Alchemy by their father, Clorince and her sister sell their own recovery potions. Unlike her sister, Clorince is somewhat reserved. She is both annoyed at and afraid of the aggressive courting of Santo Manzi, who seems like he might be a criminal of sorts. Constellation: Charioteer. Alfredo; Alfredo sells weapons to Tachros and the solders at good prices so that they can protect the town. Sometimes he just gives away weapons to Tachros’ trainees. Still, he always insists on the full price to adventurers. He is known to be very picky about who he sells to, despite having a wide variety of weapons, some of very high quality. Constellation: Treant Owl. 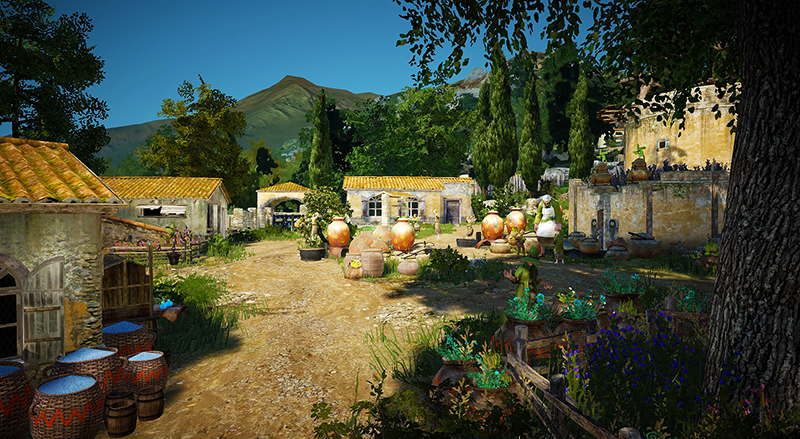 Zaaira; Zaaira sells various ingredients in Velia, and she is very interested in plants. Rumor has it that she got Bahar to buy her flowers in exchange for the gems she received from guys in town who wanted to win her heart. Folks figure this is true considering how much she loves plants. Constellation: Boat. Santo Manzi; A guy who has experienced many ups and downs. Claire Arryn from Velia found Santo Manzi abandoned on the shore and took him under her wing. He chose to live like a thug on the streets to become more self-sufficient. This led to Santo Manzi’s current infamy in Velia as an outlaw. Most villagers dislike him, but they are also aware that he is harmless and attached to Velia. Though there are rumors that he robs trade wagons. Constellation: Hammer. Sterie; A farm worker at the Del Lucci farm in Balenos. It is said that if you know Sterie well you’ll be able to get in touch with excellent workers. Constellation: Shield. Parcci; A farm worker at the Finto Farm in Balenos. It is said that if you know Sterie well you’ll be able to get in touch with excellent workers. Constellation: Key. Darifu; A farm worker at the Bartali farm in Balenos. It is said that if you know Sterie well you’ll be able to get in touch with excellent workers. Constellation: Treant Owl. Novara; A farm worker of the Toscani farm in Balenos. It is said that if you know Sterie well you’ll be able to get in touch with excellent workers. Constellation: Treant Owl. Paola Toscani; As its mistress, Paola always worries about the state of Toscani farm. It is said that she is looking for an excellent adventurer to deal with the boars that have been pushed toward the farm by tree monsters. She makes sure to ask adventurers who have been to the Western Camp about her son, Constant. Constellation: Shield. Daphne Del Lucci; Owner of a farm at the base of the Balenos Mountains. She inherited the farm from her parents who passed away, but is having a hard time dealing with bears and boars by herself. Her uncle Berman works as a cook for the Northern Post. 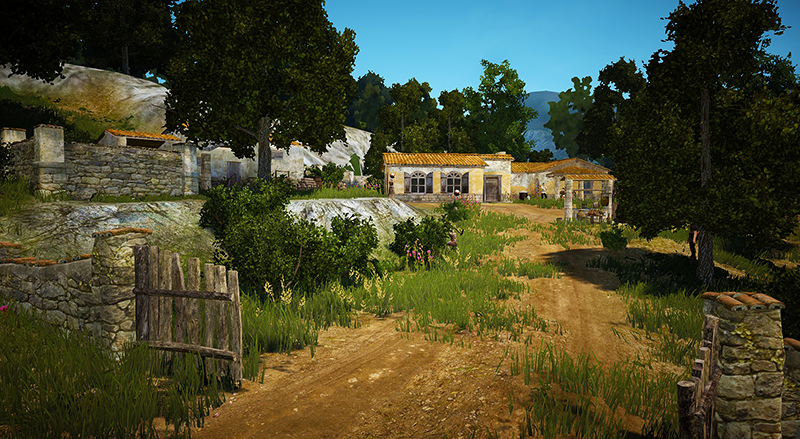 Bern said he’d help her if she sells the farm and moves to Heidel, but it isn’t easy giving up on the place that contains all the memories of her parents. Constellation: Camel. Rovant Marino; Rovant was hired by Bahar and is in charge of the Ration Depot of Velia. He follows Bahar’s orders, but he is much more timid than he appears at first blush and is too soft to do his job properly. He mostly waits around for a strong adventurer to pass by since he can’t even prevent Imps from stealing the depot’s food. Constellation: Treant Owl. Camelia Loggia; First daughter of the Loggia family, owners of the Loggia Farm. This kind and feminine maiden loves growing flowers. Rumor has it the family had to move the whole farm because guys in town wouldn’t let her be, but according to her, she just needed a wide open space to grow various flowers. Constellation: Elephant. Severo Loggia; Severo Loggia, owner of the Loggia Farm. The patriarch of the Loggia family, he lives with his son, Adrian, and his daughter, Camelia. His biggest worry are the Imps living in the nearby Imp Cave. Thinking that Goblins are stronger than imps, he ordered Goblin workers from Santo Manzi. But he discovered, to much ensuing fury, that Goblins aren’t much use at all for that sort of thing. Constellation: Black Dragon. Adrian Loggia; A kid who wants to be a famous knight. He hates working on the farm and only dreams about becoming a knight, despite being a son of the Loggia family renowned for its farm. He spends time playing knights around the Velia drill ground. He sometimes screams that he saw pirates, but villagers know that it’s a lie. Constellation: Boat. Emma Bartali; The granddaughter of Chief Igor and Islin, she is suffering from nightmares caused by the Black Energy. She wants to go back to her parents in Olvia, but this isn’t easy due to her Black Energy affliction, something which seems to be hereditary in her family. A necklace from Alustin has reduced these nightmares. She likes to count chickens during the ordinary days on the farm to pass the time. Constellation: Sealing Stone. Martina Finto; The wife of David Finto, who manages the farm by herself. She nags about her husband, who is addicted to cooking, but she is secretly proud of him too. Thanks to Martina’s management, David has been able to concentrate on the cooking he loves without worrying about the farm. Constellation: Treant Owl. Indasil; Master of the vineyard and the man behind Velia’s specialty product. Producing great wine is his joy in life. He feels much pride whenever someone acknowledges his wine. Although he does everything in his power to produce the best wine, recent attempts by Imps to destroy the vineyards are a major concern for him. Constellation: Elephant. Elmos Berry; A luxury goods manager from Heidel. She sells high quality clothes for merchants. She insists that having a good outfit is a crucial element for trade success, claiming the better one’s clothes are, the higher one’s value gets, leading to greater profits in turn. Constellation: Charioteer. Garnil; Garnil always tried to open a workshop. He believed that the success of a workshop dictates the success of a village. He finally opened a workshop in Velia and managed to run it. Now that he is trying to produce Velian specialties in the workshop, he is quite keen on having outsiders come and visit. Constellation: Key. Orwen; Half Elf and half Human, Orwen originally came from Elfland. Elfland is considered sacred due to the spiritual power that has circulated within the core of the land from ancient times. Elves can channel that power and sense the presence of Ancient Energy. Edan, the ancient artifact explorer, visits Orwen often because she possesses this unique Elven power. 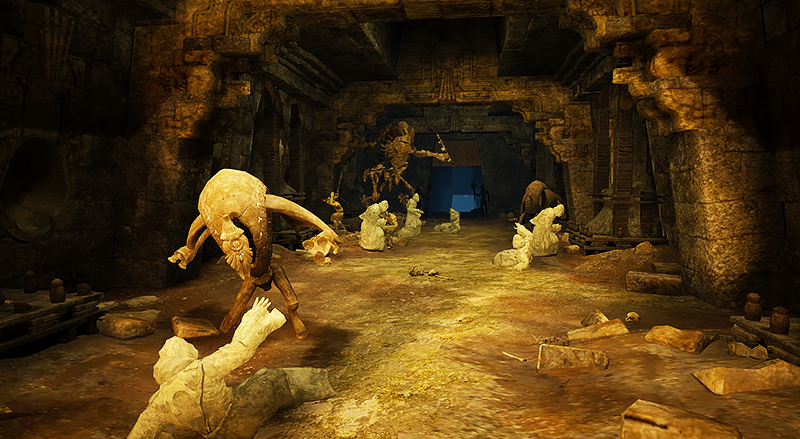 Recently she joined Edan in investigating the Ancient Stone Chamber. Constellation: ?? Lafi Bedmountain; The wandering Dwarf Lafi Bedmountain is an ancient language interpreter. Due to the similarity between the language of the Dwarves and the Ancient Language, 7 out of 10 such interpreters are Dwarves. Lafi Bedmountain is considered the best throughout the whole of Balenos and Serendia. He knows the alchemist Alustin of Velia quite well, and sometimes consults him for interpretations related to Alchemy. Constellation: ?? Shakas; Shakas is a goblin with a mysterious Black Stone in his possession and thinks he is being chased by something. Dealing with an Imp or two was not a big deal for him in the past, but nowadays one can only find him slinking in the darkest corners. Constellation: Sealing Stone. Incas; Incas runs a miscellaneous items shop at the Altar of Agris intersection and has recently been musing about a peculiar problem involving his friend. This friend whom he began the business with suddenly took off on an adventure to “find his true self.” Keeping his general goods shop at the intersection free of wild animals by himself is never easy, but he’s holding his ground for the passing travelers. Recently he gave into the threats of Imps and started trading with them, but his biggest problem is the high cost of materials. It’s almost enough to put him under. Constellation: Goblin. Lani; Lani is a Shai girl who dreams about owning her own shop. Since she doesn’t have a shop yet, she wanders around selling general goods. She does most of her business in Eastern Balenos, which is more secure than other areas. She has received a big uptick in customers since a rumor began to spread purporting that Lani brings good luck to newbie adventurers. Constellation: ?? Kina; Kina is a Shai potion vendor, and also a frequent visitor to the Toscani Farm. She sells potions to many adventurers passing by the Western Guard Camp. Constellation: ?? Uno; Uno studies Imps, and he and Edan exchange information. Recently Uno heard from Edan that the Black Spirits once though imaginary actually exist. This has made him uncertain about everything. To investigate the true nature of the Black Spirits only seen by the contaminated, Uno set forth to explore the Imp Cave where a colossal Imp resides. Constellation: Goblin. Edan; As an excavation specialist, Edan is fluent in ancient languages. One can find him where there are artifacts, about which he is very knowledgeable. Still, he only considers himself to be an explorer. Not much is known about him, other than that he is interested in artifacts and the Black Stones. Constellation: Sealing Stone. Tachros; A former right-hand man of the first Captain of Cron Castle Rebels. After the captain’s death he found no more reason to continue fighting and departed for Velia, where he now instructs trainee soldiers. 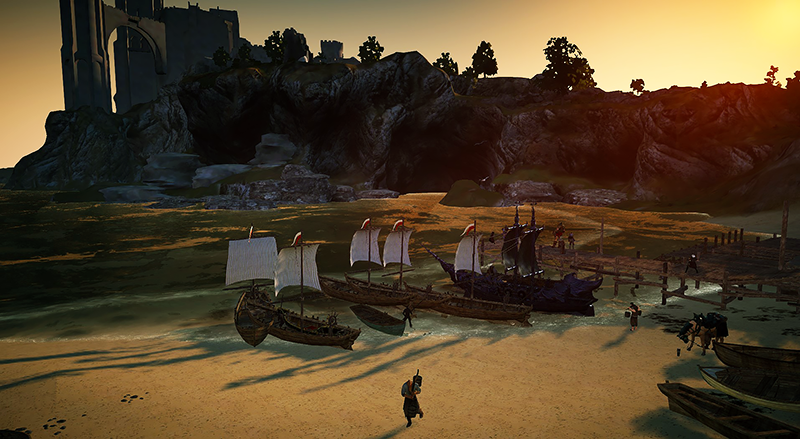 Many adventurers visiting Velia seek Tachros out to learn from his deep knowledge of battle techniques. Constellation: Shield. Luke; As the trade manager of the Western Guard Camp, he does business with Velia’s trade manager Bahar, but they are not on friendly terms. Luke, a native of Balenos, has doubts about whether Bahar, as an outsider, can be sincere in his contributions to the village. Luke trusts the Chief, Igor Bartali, and believes that Igor will bring great benefits to the village, although he never expresses such. Constellation: Black Dragon. Ottavio Ferre; an Elionian priest from Calpheon interested in history and scholarship. He is also enthusiastic about Alchemy, despite his role in Elionism. Alustin helped him a great deal in settling down in Velia, and they are actually quite close with one another. He was referred to as a sage years ago, along with Alustin and Artemio. Now he puts most of his effort in spreading Elionism. Constellation: Elephant. 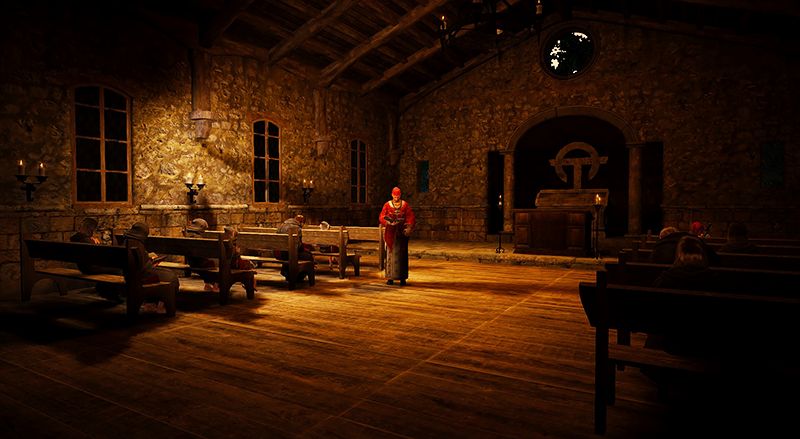 Constant; Constant, also known as the homemaker of the Western Camp, joined the military dreaming about restoring Eastern Balenos to the old days when it was such a peaceful place. His hometown is Velia, and he aims to drive out the Imps so the town can behind active trade with Olvia again. His only worry is his parents back home on the farm. He always feels sorry for not being able to visit often given that it isn’t so far from camp. Yet, with so little vacation, even short trips are impossible. Constellation: Hammer. Feinia; Feinia is known as the angel of the Western Camp for her warm smiles and giving spirit. Lately she has grown worried about the increasing number of the injured coming into the camp. She is studying with Hessenvale in search of various ways to treat more patients. She often asks travelers for ingredients she needs. Constellation: Elephant. Jamie; Jamie, who guards the entrance to the Western Guard Camp is actually not so good at fighting. However, he is more interested in the safety of the camp than anyone else, and is especially concerned about the security of the women within. This may be why he is so trusted by Jarette and Feinia. Constellation: Goblin. 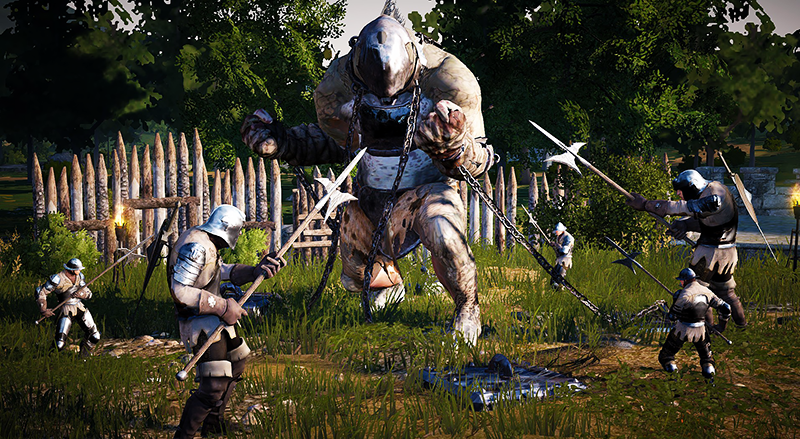 Armstrong; His fame soared as he took part in many victorious battles with Cliff, but he has been stationed at the western Camp since his country became a vassal state of Calpheon. Recently he has been working on his gathering ability, as well as any other method of making money, in response to the lack of resources around the camp. He says he’ll teach the techniques to adventurers, but nobody has ever actually learned anything from him. Constellation: Charioteer. Claus; A good friend of Tachros from Velia who is very knowledgeable about weapons. He fought in Cron Castle with Tachros when Tachros was a Rebel. After the first general of the Rebels died, he helped convince the confused Tachros to settle down in Velia. He denies Captain Cliff’s favorite phrase stating that loyalty cannot be planned, and tells passing travelers that all things can change depending on the situation. Constellation: Hammer. Hessenvale; Hessenvale learned about medical herbs by following her father, an herb gatherer, to the mountain when she was young. She later joined the military as a medic and was deployed to the Western Camp. She distributes potions to the soldiers of the Western Camp for free using the money she earns selling potions to travelers. Constellation: Elephant. Samuel; He is responsible for the stable at the Western Guard Camp. He used to do guard duty too, but with more and more adventurers visiting he now exclusively manages the busy stable since he knows more about horses than anyone else in the Western Guard Camp. Constellation: Camel. Duvane; Duvane is a veteran soldier in charge of the South Gate of the Western Guard Camp. Efficiency is his middle name, and he is accordingly hunting Imps while taking minimal damage. Though he excels at hunting Imps, he has trouble mentally dealing with other creepy things. Sometimes he asks adventurers for a hand and then pretends he did the work himself. Constellation: Hammer. Cliff; A Heidel native stationed at the Western Guard Camp to guard the western border of Balenos. He was a driving force in the campaign against Calpheon initially, leading troops to victory twice. However, he reluctantly surrendered after Lord Crucio Domongatt was captured by the enemy. The veteran that he is, he keeps an ever-vigilant eye on the rising star Jordine, while showing off his skills guarding the camp and capturing Ogres. There is a woman by the fountain in Heidel, donning a soldier’s uniform claiming to be his niece. Constellation: Shield. Linby; Linby has always liked horses. Though they are scarce on Iliya Island, he wanted to care for them s much that he founded a stable, despite the criticism of others. Constellation: Hammer. Dario; An otter employed as a fish from Iliya Island. He is cheerful, affable, and like all Otters, proud of his fishing skills. Constellation: Boat. Maonil; A merchant who deals in the specialties of Iliya Island and is proud of how popular Iliya Island’s products are in the big cities like Calpheon and Heidel. An intelligent and sociable character, but one who has no interest in leaving Iliya Island. Constellation: Goblin. Baori; He is a salt of the earth Iliya Islander who has literally never left the island once since he was born. He was selected as chief, but he refused because he wanted to keep living with an ocean view. He got himself a storage house by the ocean and holds adventurers’ supplies. Constellation: Hammer. Lillia; She said her husband is an adventurer from outside the town. She learned many things from him, and making medicine was one of them. Apparently her husband got itchy feet again and set out on an adventure once more. Constellation: Key. Diago; Chief of Iliya Island. She is a little wary of outsiders because she loves the island so much. She surpassed her male counterparts to become the best fisher in town and even discovered the unknown areas rich for fishing around the island that eventually increased overall production. Constellation: Elephant. Nathan; The Node Manager of the Balenos Western Gateway. He is anxious about omnious signs he sees coming from the imps. He says the next staff rotation is late coming so he hasn't been able to report the current situation. Boble; Nobody can stifle the curiousity of a Shai. All the townspeople in Olvia told him it is dangerous to go outside, but Boble went to Demi Riverhead with his friend anyway. He says he is having tons of fun just hiding behind rocks to peek at the mobs of imps.